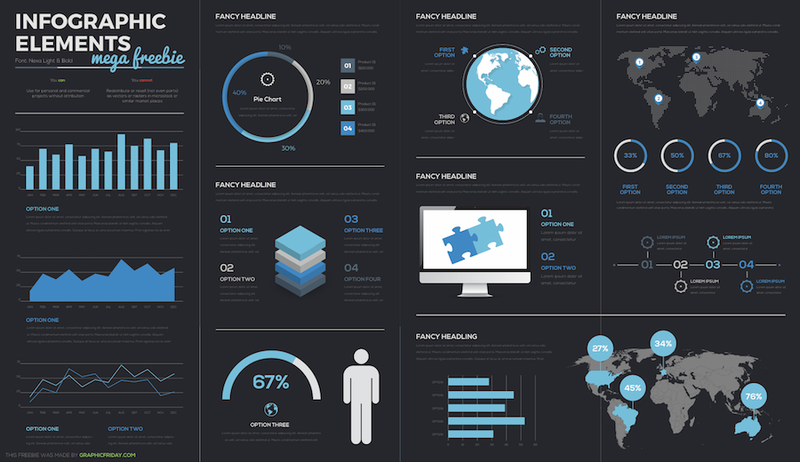 Free infographic vectors collection of the most used elements: world map, human infographics, timelines, pie charts, line charts and others in AI, EPS and SVG types. We’re celebrating our new website by giving out some stunning infographics! 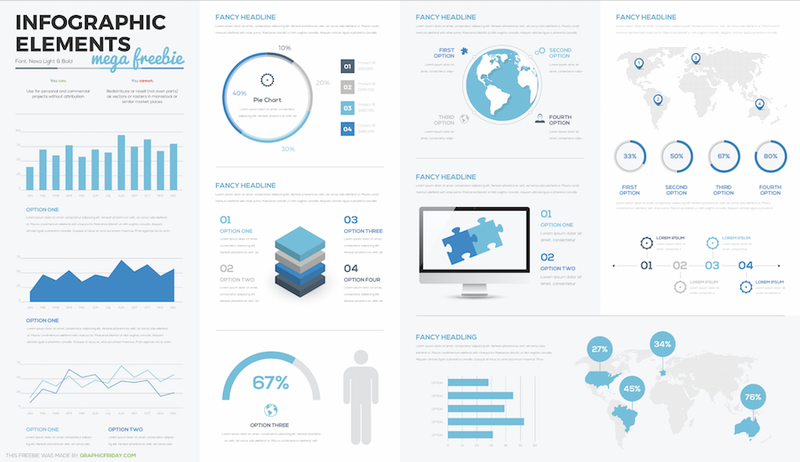 This package contains the most used infographic elements like world map, human infographics, timelines, pie charts, line charts and many other elements. You will get this collection on white and black background with awesome blue business style color palette.